Billy Eugene Eddings, 70, of Burnsville, passed away Monday, August 27, 2018 at his home, following a brief illness. 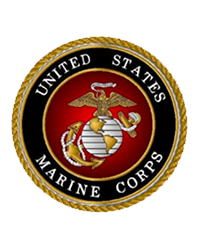 A native of Kannapolis, he was a son of the late J. C. and Fannie Rich Eddings and a US Marine Corp Veteran of the Vietnam War. Surviving are his wife of 30 years; Eva Mathis Eddings; his children; David Eddings of Kannapolis, Clinton Eddings and wife Stephanie of Newton, Cassandra Eddings of Jacksonville, NC, Curtis Eddings of Rhode Island and Arrington Bowman and husband John of Concord; 7 wonderful grandchildren; a great niece; Evie Elizabeth Eddings of Burnsville; a brother: Lewis Eddings and wife Sharon of Salisbury and several aunts and uncles. A graveside service will be held at 2 PM Friday, August 31, 2018 in the Mathis Family Cemetery on Mathis Road. Rev. Denny Wilson will officiate. In lieu of flowers, memorials may be made to the Sgt. E. L. Randolph, Chapter 57, DAV, P. O. Box 868, Burnsville, NC 28714.